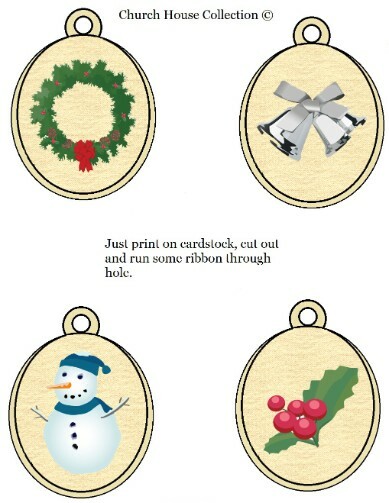 Just print these ornaments out on cardstock. 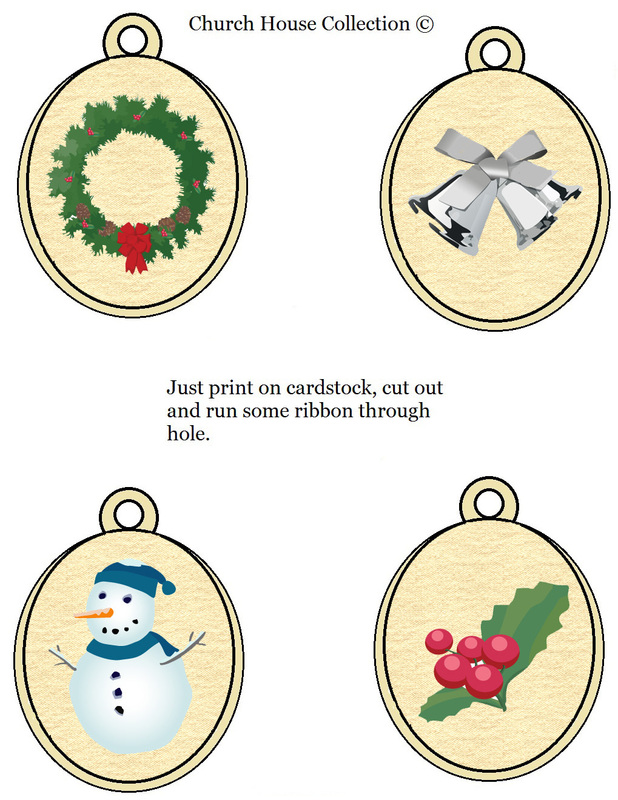 Cut out and use a hole punch to add a hole in the top of ornament. Run some string or ribbon through and hang on Christmas tree. These is an easy craft for kids to do at home. Let them write their name on and laminate them. You could also tie these to gift bags.